So, you’ve gotten the perfect holiday gift for your sister, mother, Aunt Linda, mailman, and third-cousin Joe. However, you still have to get something for that one person who seems almost impossible to shop for. They seem to have everything – each new gadget, tool, piece of jewelry, and more. Never fear, we’re here to help you gift uniquely and beautifully with something that is certain to knock their socks off. 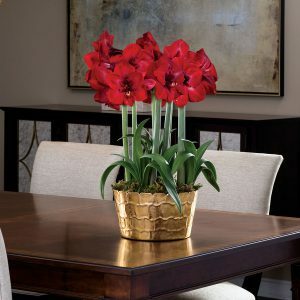 For the person who seems to have a home filled with unique pieces, the Golden Grandeur Amaryllis would be a wonderful gift. The beautiful golden cachepot will stand out in any home and add a bit of sparkle to anyone’s day. This amaryllis is available in three different sizes so you can choose the one that will be perfect for that special person. We all know someone who decorates their home to the nines every holiday season. There seems to be a little Christmas perfectly placed in every corner of their home and it is often a collection of curated items that they have acquired over the years. The magical ornaments created by the Radko company have long been a source of joy and happiness during the holiday season. 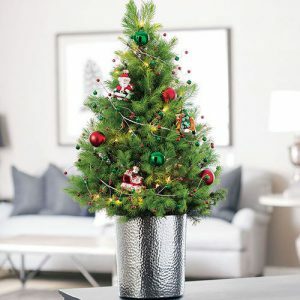 Give our Radko Christmas Tree as a memorable gift this season, they can easily replant the tree into their landscape and keep the ornaments for future Christmases to come! Those who seem to have everything may still often neglect treating themselves every once in awhile. There is nothing like giving a beautiful and unique gift and seeing the smile on someone’s face when they receive it. One thing we all seem to have a common love of is food, specifically chocolate and other delectable treats. So, you can’t go wrong with our Heavenly Sampler Chocolate Gift Box. This will make a thoughtful gift that encourages anyone to sit down, take a moment for themselves, and indulge in a tasty treat during the hustle of the holidays. 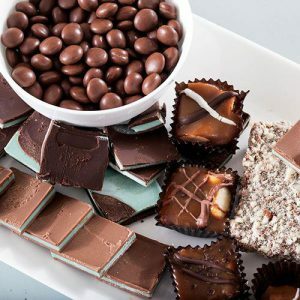 No matter if they like milk chocolate, dark chocolate, caramel, or mint – there is sure to be something in this sampler box that they are sure to love. Your gift doesn’t need to be from our lovely holiday collection. 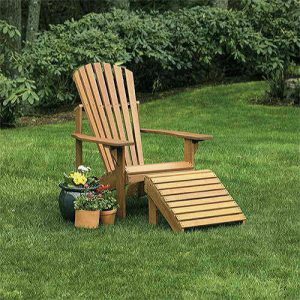 Give a truly unique gift with one of our Craftsman Adirondack Chair and Ottoman. It will provide a great place for anyone to relax, read, and enjoy a beverage outdoors. This chair and ottoman will also bring classic beauty and comfort to any deck or patio. Crafted from Kapur wood, this will surely be a gift that they can cherish for years to come! And finally, we can always recommend a Jackson & Perkins Gift Certificate as a wonderful gift for anyone on your list for any occasion. You choose the value, and they choose the gift!